Sean had work stuff to do on Friday evening, so I drove down from Morro Bay to Ventura this morning. 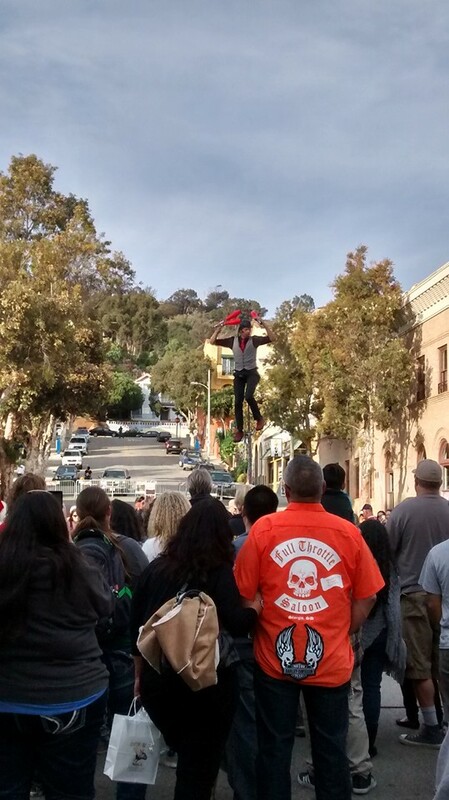 We ate a late breakfast at The Golden Egg Cafe and then checked out the downtown Ventura Holiday Street Fair on Main Street. There were your usual booths of assorted handmade crafts and various commercial vendors, and then there was the UniProShow. See those knives on the bottom left hand corner? 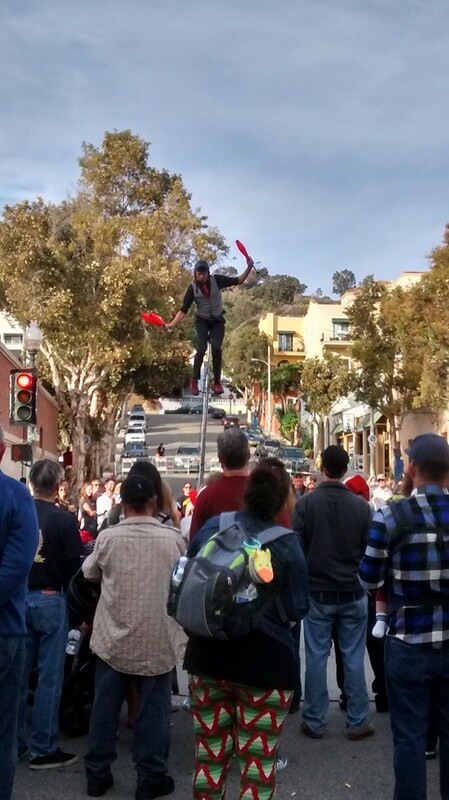 He juggled them. I don’t have any photos of him juggling three knives because I was so absorbed in watching that part of the show that I forgot to take a picture. Sometimes you just have to set aside the camera and enjoy the experience in real time. 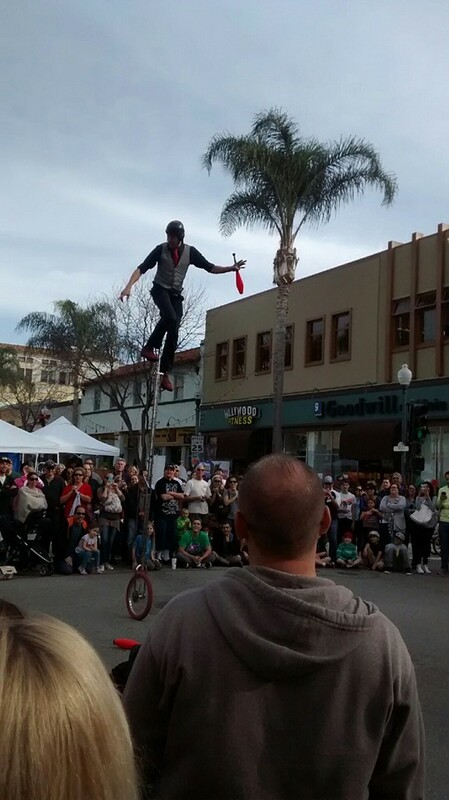 Categories: Adventures with Sean | Tags: Sean, street fair, Ventura | Permalink.